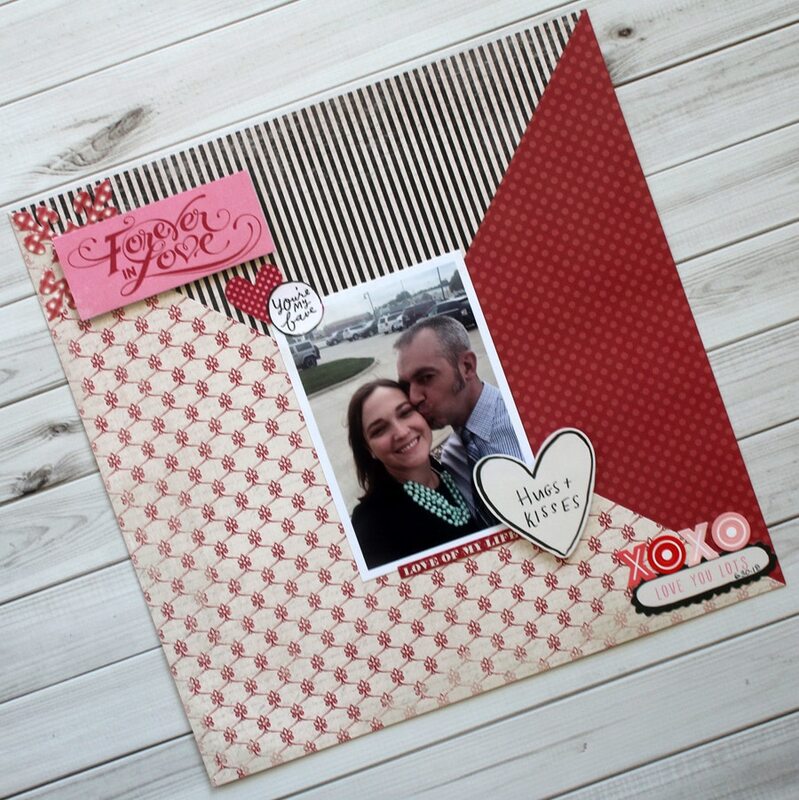 Valentine's Day is right around the corner and we've got another great scrapbook paper layout to show you created by our talented designer Samantha Taylor. Samantha describes her process below and we hope you find some inspiration here for your own Valentine's Day creations! For my layout, I used both the kit and pieces from the upgrade. If you don't have the upgrade, you can just use embellishments from the primary kit. You'll need 3 pieces of patterned paper from the kit. Leave one piece as a 12"x12" piece. This will be your base. Cut each of the other pieces diagonally from corner to corner. You'll only use 1 half of each of these sheets. Start by placing your 12"x12" sheet in front of you. 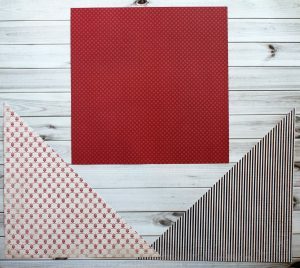 Layer your first diagonally cut piece with diagonal edge of the paper running from the top right to the bottom left corner. Attach your second diagonally cut piece of paper with the diagonal edge running from the top left to the bottom right corner of the layout. Once you have your papers down, attach your photo to the center of the layout and add any embellishments from the kit that help you tell the story of your photo. 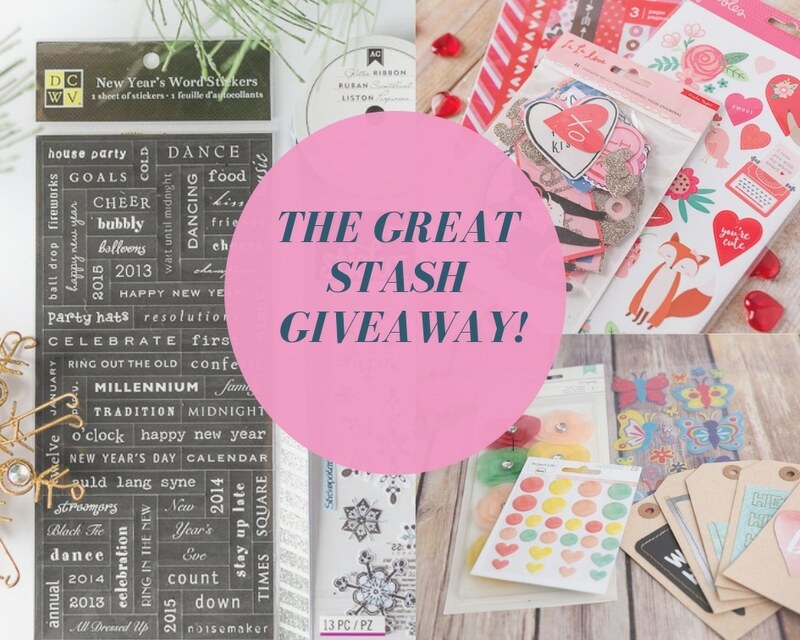 I hope you're feeling the love this month like I am! If you haven't already, it's not too late to sign up for our monthly subscription and get in on this AWESOME Kit (only available until the end of the month or when we run out). Just click on the button below to get yours today!